Seeking out great people in unusual places helped rank outsiders Leicester scoop the Premiership. 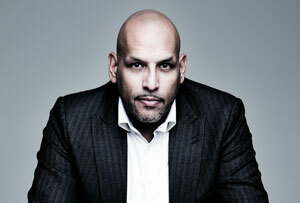 It can help you hire better, too, says former NBA basketball player John Amaechi. Even if you’re not a football fan, you can’t have missed the fact that ‘underpowered underdogs’, Leicester City have just won football’s coveted Premier League title. As a person interested in the application of leadership and the creation of functionally diverse, high-performing teams, I have watched with interest as experts and pundits initially besmirched the individual members of the now Premiership champion team, on the basis of their lack of providence, the league they were coming from (division 7, in the case of one prominent player) or simply their general lack of name recognition. As the season moved on I began to wince as Leicester took their early lumps with some difficult winnable losses. But then they finally started to win, and even began to string together runs of form unmatched by the more usual championship suspects. I shook my head as TV pundits, opposing players and rival coaches continued to talk about their 'surprise' and sometimes near incredulity at being bested by these 'underdogs' who with every win, continued to '…come from nowhere…'. At some point, if a team is continually beating expert expectations and consistently winning where such experts thought it improbable, it is the reasoning behind the expert’s low expectations that should be called into question, not what they consistently claim to be ‘overachievement’. Now in victory, I am reading how it’s Leicester’s ‘grit’ and ‘passion’ and ‘heart’ that somehow beat the odds, and not the persistent underestimation of a fundamentally talented if non-traditionally lead and assembled, team. Also absent is much mention of the strategic and interpersonal skills of Claudio Ranieri, a manager written off by those same experts before he even took this job. ‘Grit’ and ‘passion’ are the kind of words we all too often use in faint praise of ‘non-traditional talent’ to make it clear that the key success factors we really consider important like intelligence, technical skill, focus, tenacity, consistency and resilience are not at the core of this achievement. We minimise their success even as it is supposedly praised. I write this in the hope Leicester’s season might act as a wake up call for all of us looking at talent in our organisations. There are numerous companies out there who - either officially or more commonly unofficially - won’t consider, for example, a University graduate who didn’t come from a Russell Group University. That is a fundamentally time-saving, not performance-enhancing decision, to draw from 24 out of the 130 Universities in the UK. It a parochial, historical nonsense and we should stop doing it. If we delve further into the general, broad and flawed perspective on talent in business and education, we find the murky world of non-traditional talent where certain types of people are seen as remedial projects. Sometimes based on protected categories like race or gender, but more often on the University they went to, or the fact they didn’t go to University at all, their accent, birth city or network, certain candidates end up labelled ‘community outreach’ rather than keys to a resilient and sustainable talent pathway. We should understand, as Leicester City’s coach Claudio Ranieri and his team’s Thai owners clearly did, that low name recognition (personally or organisationally) and an unconventional providence are truly poor predictors of overall success in modern competition. Leicester City took a team of overlooked, but fundamentally talented, ‘non-traditional’ prospects, paired them with a manager who listened first and then lead a strongly collaborative, true team and garnered - not all that surprisingly when you consider this description - sustained success. It’s time for us to re-evaluate the label non-traditional that has become, to my mind, an albatross around the neck of too many talented candidates. Instead we should scrutinise whether we currently select talent not on the basis of best potential, but rather the easiest fit. We need to examine whether our candidates come from, for example, the Russell Group of Universities not because we know they will all be better (whatever that means) but because we know our managers are positively ill-equipped to manage anyone who hasn't been appropriately homogenised by a similar educational experience to their boss. Parcel power: who's delivering the goods?